The first of these, Cosmopack, will take place from 17 to 20 March in Bologna, Italy. This will be part of the 49th edition of Cosmoprof, considered the leading worldwide event for the professional beauty sector, as well as the cosmetics and wellness industry. Mimaki will be in hall 20, stand C9-D8 and will be demonstrating ways to produce head-turning cosmetics packaging, combining cost-effective mock-ups and samples in conjunction with small production runs. The company will show how using Mimaki printing technology allows imagery and labelling to be printed directly onto cylindrical objects as well as folding cartons and conventional labels that are ready for post-processing. During Cosmopack, Mimaki will feature solutions including the new Mimaki UJF-7151plus, a next-generation UV-LED printer that can print on a variety of substrates including plastics, metal, wood, leather and glass up to 710mm x 510mm and up to 153mm thick with high-end print quality. The machine includes both white ink and clear varnish for creating stunning effects. 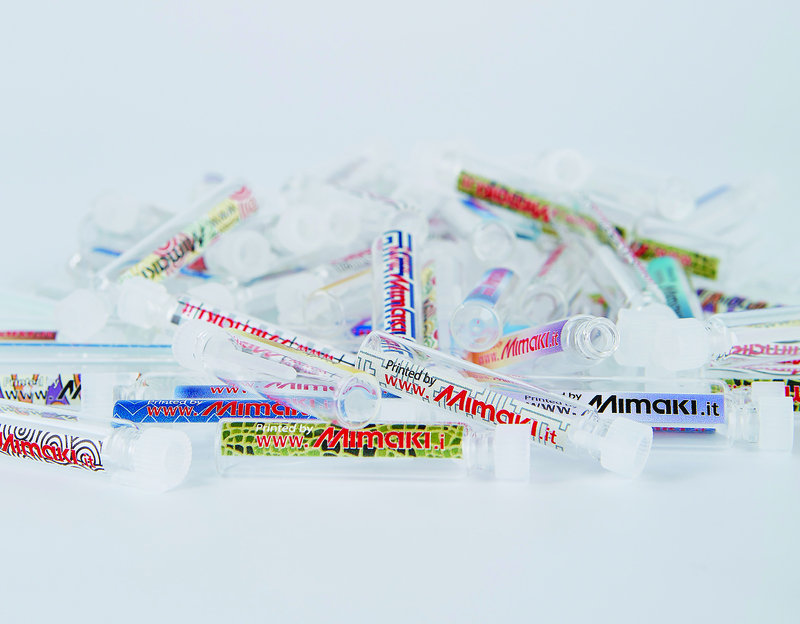 Also at Cosmpack will be the Mimaki UJF-3042HG, which will be equipped with the Kebab option, an additional unit that allows printing on cylindrical objects with a maximum length of 330mm and a diameter of up to 110mm, including glass bottles, sample tubes and many more. Additionally, the larger UJF-6042 will be working alongside the CFL-605RT cutting table as a Print and Cut solution. The UJF-6042 prints on folding carton board and the CFL-605RT cuts the board into shape, creasing it in preparation for folding. This solution is especially suitable for mock-ups and proofing. Combined with Mimaki’s advanced printing technologies, the CFL-605RT is ideal for producing small lots of customised packaging and multiple sample ideas quickly and affordably.